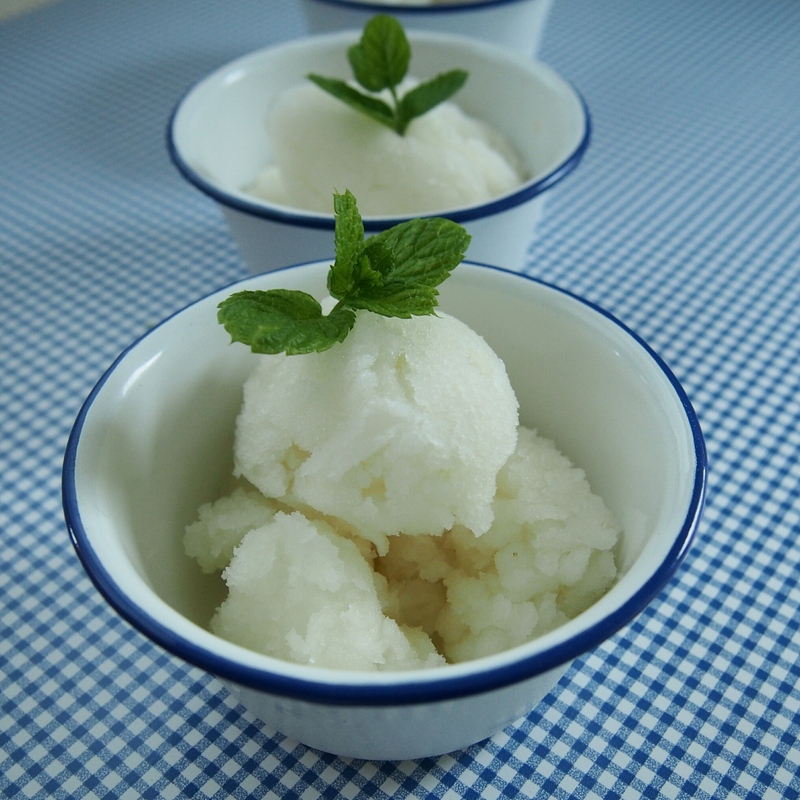 I think a big part of me is trying to hang on to whats left of the British summer by making lots of sorbets and ice creams lately. But its still getting colder and I am really not prepared! I have spend about the last 2 years or more in summer, either in UK during summer or off sailing near the equator where it doesn’t matter what time of year it is, it’s just HOT! I have always missed the seasons, the autumn especially, the rains in England and snow in winter… but I think I forgot the horrible parts… like cold feet, cold nose and icy cold wind that makes your ears hurt. 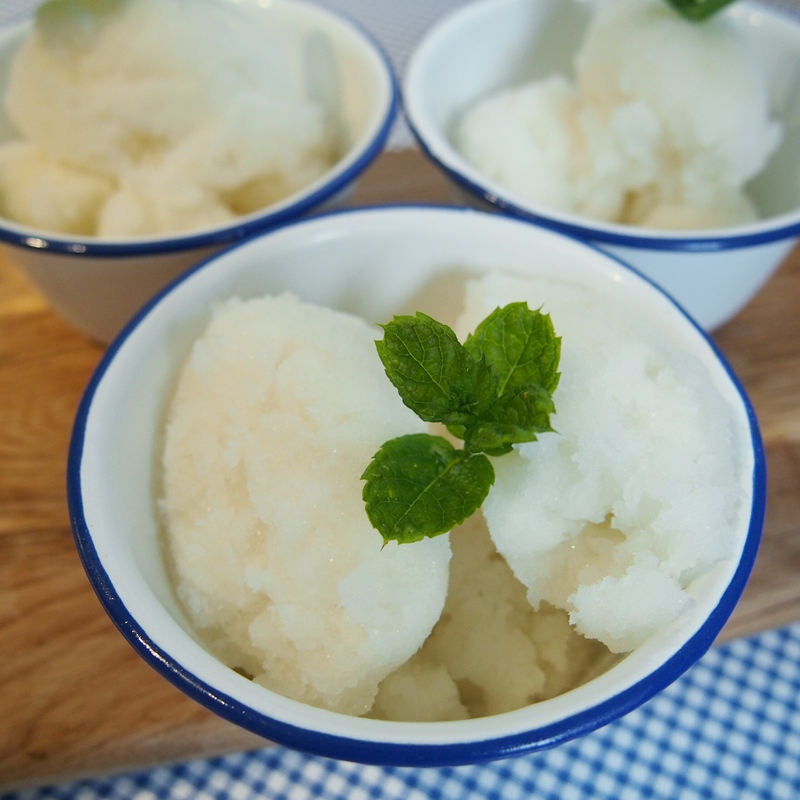 So I think I will live in denial a little longer and keep telling myself summer hasn’t gone just yet and it’s definitely still OK to make sorbets and ice creams! 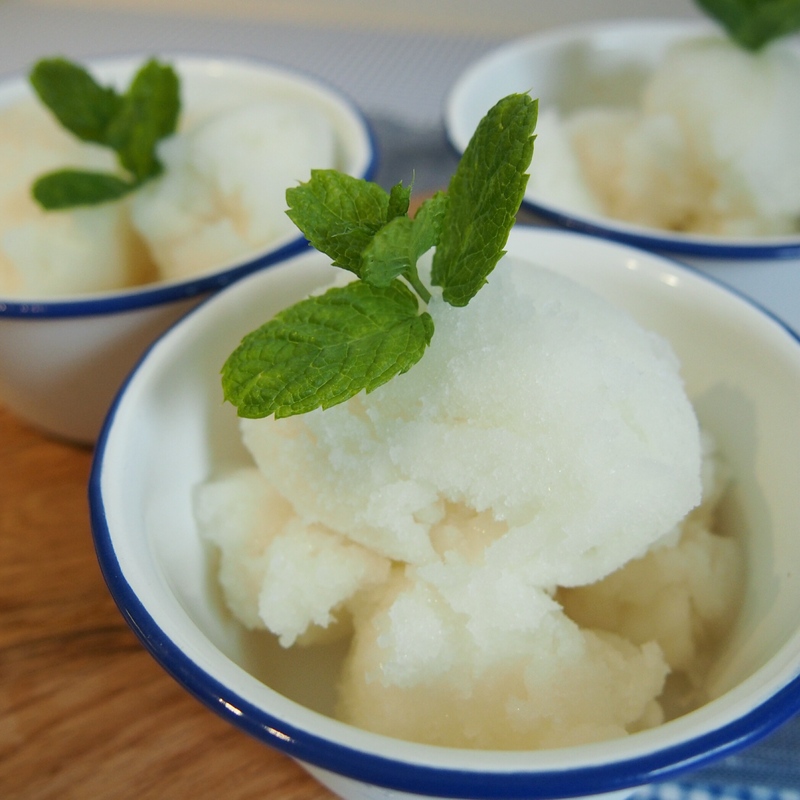 This one I made because I have always wanted to use rosewater in something, and absolutely love mint… so thought maybe they might be happy together in this sorbet! First combine the suagr and ¾ cup of the water in a saucepan, heat dissolve all the sugar and bring to the boil. Set aside to cool. Bring the remaining 3 cups of water to the boil. Rub the mint sprigs between your hands to bruise the leaves and add to the boiling water. Remove from heat and set aside to cool. Once the water with the mint has cooled to room temperature, put it through a sieve the strain out the mint sprigs. Then mix in the sugar syrup, rosewater and lemon juice. Now mixture is ready to put in your ice cream maker. If you don’t have one… place liquid in a metal bowl, cover and place in your freezer. After about 2 hours take out and break up any ice crystals with a fork or a blender. Re-freeze, repeat once or twice more every hour, then freeze again until firm and ready to serve. No I never have, but would love to in the future. For this recipe I got some from the store. This looks so refreshing and delicious. It’s been super hot where I live, so this would be perfect to make sometime very soon.